Use Slurry Sep™ to drop out suspended solids in settling basins to enable easier and faster cleanout. Slurry Sep™ aids in dewatering and drying of of slurry for easier and faster handling and transportation for disposal. Use with concrete reclaimers to aid in solids dewatering and to clean sand for reuse. Slurry SEP™ is a unique dry polymer-flocculent mixture used to drop out slurry in settling basins or in the mixer truck drum prior to final washout. Slurry SEP™ will work at high pH levels to drop out suspended solids in minutes for easy clean out. Slurry Sep may be added to the mixer drum when washing out. Use 1/2 lb to 1 lb. while rinsing the drum. All of the slurry settle in the first wash out basin instead of passing over the weirs into the secondary settling basins. This will minimize removal of settled slurry in the down-stream basins. Slurry SEP™ may be added to reclaimers that are removing rock and sand and generating large amounts of slurry that is hard to dewater. Simply add 1/2 lb to 1 lb. of Slurry SEP™ into the reclaimer before the machine starts. The Slurry SEP™ will not harm or impede the reclamation of rock and sand. The slurry will settle in the basin without layering with the water. Clear water can be pumped off prior to cleaning out the basin with a loader. Alternately, use Slurry SEP™ to flocculate floating cement fines in the secondary settling basins by adding 1 to 2 lbs. per 5000 gallons of water in the basin and then use a loader to mix into the water. The fines will quickly settle to the bottom. Pump off the clear water and remove the settled slurry. This method will reduce the drying time of the slurry and eliminate the loader sloshing slurry onto the plant grounds. Slurry SEP™ will also remove color. Just add 2 lbs into the mixer drum and spin the drum for 2 minutes, then discharge as usual. All the color will remain in the discharged slurry.. 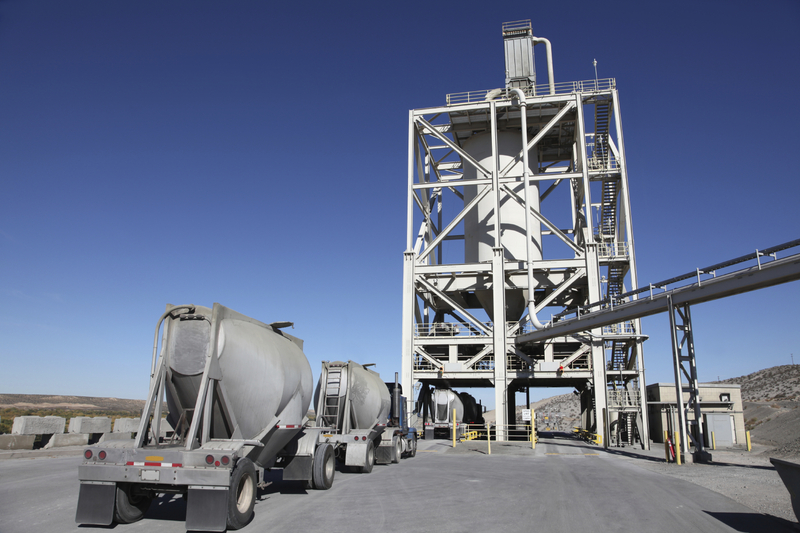 Saves Time and Money on Basin Cleaning, Drying, and Transportation of Dewatered Solids. Add rinse water to mixer drum (50 to 300 gallons) then add 1 lb. of Slurry Sep into mixer drum. Use 2 bags to remove color. Spin drum for 2 minutes and then discharge to primary basin. Slurry SEP™ is available in 50lb bags. Use submersible mud pump or above ground diaphragm pump with 3” suction hose with wand strapped to hose and suction settled slurry from bottom of pit. Pump slurry to main washout pit or mixer truck. Transport slurry to drying area. Slurry Sep enables environmentally safe disposal of dried slurry. Slurry Sep contains sequestering agents to prevent leaching of heavy metals even if dried slurry is rewetted.